Founded by the University Sarajevo School of Science and Technology (SSST), the Gymnasium SSST offers comprehensive, advanced secondary education with an emphasis on academic learning. Through an innovative approach, modern facilities and a highly qualified and motivated faculty, our programs seek to prepare candidates for undergraduate studies at leading national or international universities. Our school belongs to the Cambridge International Schools family but takes the unique approach of combining the demands of the national curriculum with the advantages of globally recognized Cambridge Advanced Program (A-levels) and examination system. We believe in a hands-on approach where candidates are carefully guided through their studies, with mentoring and consultations ensuring that we identify challenges and demands unique to each student. Gymnasium SSST seeks to develop and nurture curiosity, instill confidence and provide students not only with knowledge but with tools for learning – allowing them to meet the challenges of modern university education with greater ease and enthusiasm. We provide scholarships for our best students who choose to continue their education at one of the eight departments of the SSST University: Computer Science, Information Systems, Economics, Political Science and International Relations, Engineering Sciences, Modern Languages (English and German), Sarajevo Medical School, and Sarajevo Film Academy (SFA). Our mission, to create graduates with both theoretical and real-life skills, who will be aware of the needs of the job market well before they have to join it, and who will be fully fluent in English, is reflected in a curriculum with a strong focus on practical work, from innovative projects done in the third year of studies, to week-long internships in the winter months at selected institutions. 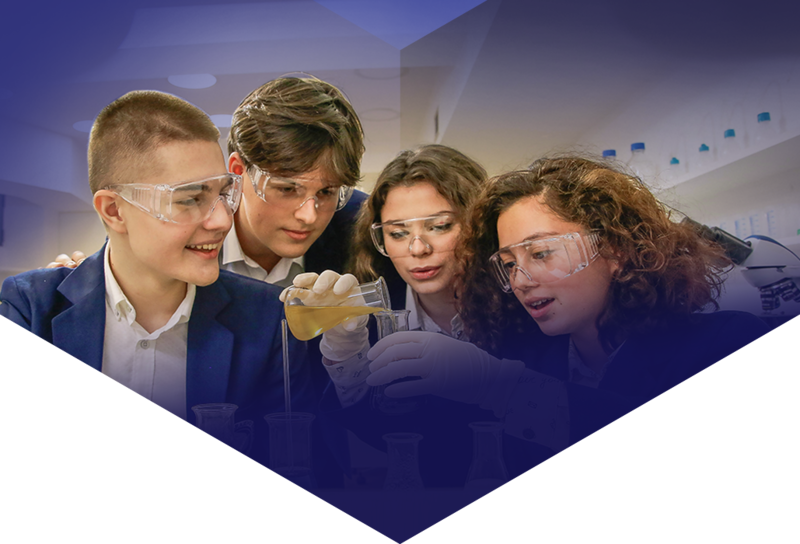 With the backing of our founder institution, the University Sarajevo School of Science and Technology, our program reflects the deep understanding of what skills are most beneficial to university graduates, and our aim is to start developing these skills at high school level. Our biggest strength and main determination is quality: in the selection of courses, faculty and teaching materials. For that reason, our teaching staff includes seasoned university professors, who will instil in their students a desire to go further into academic study, helping them discover in what areas their potentials lie.